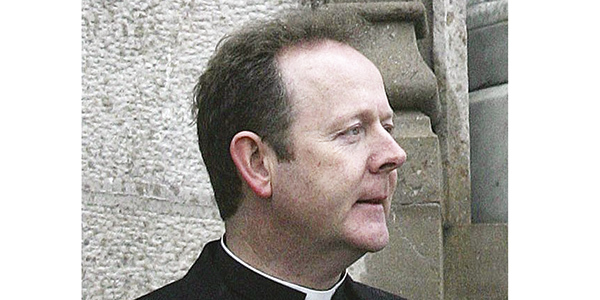 Speaking to the Sunday Independent, the Archbishop of Armagh, Eamon Martin (pictured), said he did not accept that a modern country cannot protect the equal right to life of a mother and her unborn child. “I don’t believe that ultimately abortion is good for women,” he said. The Archbishop of Dublin, Diarmuid Martin, in an interview with the Sunday Business Post, called for more state funding for single parents as part of a pro-life social policy. “If you say that lack of financial support might be a possible reason to permit an abortion, you should be investing huge amounts of money to help people … to maintain a child,” he said. The former Bishop of the Forces, Francis Walmsley, died peacefully on Boxing Day at the age of 91, at a convent in Reading where he had lived since his retirement in 2002. In his 23-year term, Bishop Walmsley witnessed the Falklands War, the Iraqi invasion of Kuwait, the First Gulf War and the Balkan wars. He was appointed a CBE in the 1979 Queen’s Birthday Honours. England’s 42 Anglican cathedrals have been commended by the Department for Communities and Local Government for their “continued importance as places of worship, their wider community work and their commitment to promoting local economic growth”. The report comes after the Minister for Faith, Lord Bourne, visited all 42 cathedrals. The report highlighted a number of cathedrals’ interfaith projects and refugee support, and noted “the unifying response of Manchester and Southwark cathedrals in the wake of the terrorist attacks in both cities”. A museum of artefacts collected by Jesuits over five centuries opened last month at Stonyhurst College in Lancashire. The Old Chapel Museum houses the Stonyhurst collection, which has its roots in the 16th century as a sanctuary for items rescued during the Reformation. Holdings include the rope that bound St Edmund Campion to the hurdle at the time of his execution and personal items of St Thomas More. The man who oversaw the communications for the 50th International Eucharistic Congress in Dublin in 2012 and who will play a key role in promoting the Catholic bishops’ response to Ireland’s abortion referendum this summer, has received a special award for his work. Martin Long, director of the Catholic Communications Office (CCO) of the Irish Catholic Bishops’ Conference, has become a Fellow of the Public Relations Institute of Ireland for his “highly skilled” leadership. The week-long Eucharistic Congress, the first held in Ireland since the 1930s, attracted tens of thousands of pilgrims and saw Irish parishes contribute €4 million – almost half the total cost of the event. An Aberdeen priest has been appointed spiritual director of The Royal Scots College in Salamanca, Spain. Fr Stuart Chalmers, who serves the parishes of St Joseph’s, Woodside, and Holy Family in Mastrick, will serve in the post for three years. A Florida-based Irish priest at home on holiday for Christmas has won €500,000 in the EuroMillions Plus draw. Mgr John Delaney joked that God must be listening to his prayers: he has previously had lottery payouts in Ireland and the United States. He has promised to share his winnings with those in need.